We’ve all been there or we can say that most of us has been there in a situation where we like a someone so much but we cannot do anything about it as we don’t have the aura or charisma for them to notice us. Sometimes, you’ll wonder why a very good looking person seems so in-love with an average human. Wonder why? It’s all about the level of attraction and you might not have what it takes to attract someone and we can solve it by following the steps below. Good luck! Clear the ritual space. Cast a circle. Lit the green candle and say:”The powers of love, come, come come!” You can pray to some love deity, you feel connected with, fore example Maria Magdalena or Erzulie. 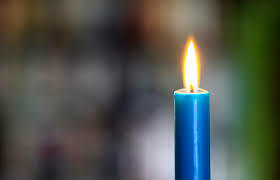 Lit the dark blue candle and say: “The powers within, the powers of attraction, awake!” Fill the goblet with water and say: “As the water in goblet rise, my power of attraction rise.” Put into the water honey and chilli powder, which represents sweetness and fire of being attractive. Carefully watch your picture. Look on that face as if it is someone else. Observe, how attractive and nice that person is, try to find on that picture as many attractive things as possible, dream and add more thing, who you want to become. Visualise yourself entering the room. You can hear whispers, how others are speaking about you, how good you look today etc. The vision has to be very vivid, with images, sounds, smells and feelings. When you finish, write all attractive things about you on the photograph in following way: I am attractive, I am bright, I have beautiful smile etc. Very important thing is to define, what kind of partners would you like to attract. Being attractive for all means, that some men will disturb you, some could even try to get what they want by force!!! So be careful, what you desire. If you want to be attractive for one specific person, state it in your ritual! Hold the goblet all the time in your hands. When is your visualization fixed in your mind, breathe it into the goblet. Be aware, how is the water full of energy of attraction. Drink it. Then, finish the ritual. Put your picture near your bed and watch it every evening before sleep and every morning. In the day of full moon, burn everything (in a safe way) and let the ashes go into the air, so that your wish can manifest.